So in order to answer these questions without getting overwhelmed by a LOT of information, we will have a Five Part Series dedicated to lapbooks. to help y’all assemble your own lapbooking kits. In order to use all these goodies, homeschoolers have asked us, “Where do we get lapbooks?” So here you go! Lapbooks are found around the web, ready for you to print, cut and assemble. The prices vary from Free to around $30. As you become an experienced lapbooker, you will come to prefer the styles of some over others. I went to my favorite group of lapbookers, the Homeschool Share Forum, to find out the best places to access lapbooks. Homeschool Share, of course! 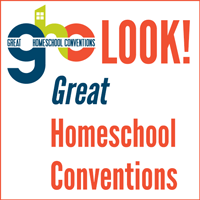 Here you will find over a hundred FREE LAPBOOKS created by homeschoolers for homeschoolers. They range from topic specific to literature based, and there is something available for every age group. You will find our Master List here. The King Will Make a Way shares on her blog oodles of free lapbooks that she makes for her own family. Homeschool Helper is a collaboration of homeschool moms providing an assortment of free lapbooks for the homeschool community. Dynamic 2 Moms offers up quite a few free lapbooks. I really like the Bible-themed creations. Lapbook Lessons has made available an interesting variety of free lapbooks to members. Homeschool in the Woods lapbooks are “the best stuff on the market” according to many at HSS. Specializing in historically based lapbooks, you get so much for a very small price. Hands of a Child has a wide selection of lapbooks, with previews of most if not all lapbooks on their site. Live and Learn Press lapbooks are colorful and fun. Check out their freebies here and here. Knowledge Box Central, “Home of the $5 Lapbook,” is a favorite of those without color printers. Simple shapes and designs let your child’s imagination go to work. A Journey Through Learning specializes in educational lapbooks to use with existing curricula. In Part 3 of the HSS Lapbooking Series, we will show you, step by step, how to assemble a lapbook. To be sure not to miss the fun, feel free to subscribe at the link to the right. Can you link your part one icon back to the actual art one entry?